In March, 2013, I visited the Ashe County, North Carolina, annual seed swap. In exchange for my grandmothers’ pea, bean and pumpkin seeds, I received several varieties of heirloom seeds for my garden. The seed swap is a great way for gardeners to access different plants, network with others and pass a few pleasant hours. There is no admission charge and attendees are not required to bring seeds. In exchange for taking seeds, gardeners pledge to grow them and return the following year with more seeds to share with others. 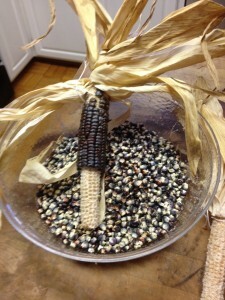 I had heard of Hopi Blue corn, but had never seen it until I met a woman at the seed swap who brought seeds to share. Impressed with the beautiful color and kernel size, I scooped some seeds into an envelope and engaged in an informative conversation about growing heirloom corn. 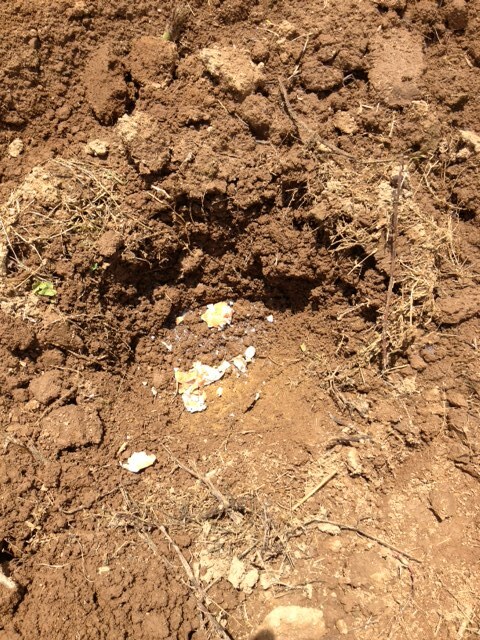 The Hopi Corn grower and I commiserated about attacks from crows, raccoons and other pests, but we agreed heirloom corn is worth the extra effort to protect it from invaders. I thanked the seed saver and looked forward to planting her seeds at Heart & Sole Gardens. 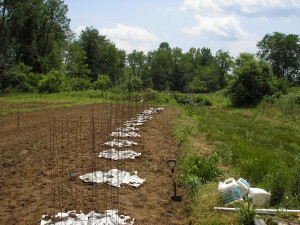 My almanac designated May 15, 2013, as a perfect day for planting above-ground crops, so I planted two short rows of Hopi corn. As I dropped each of the 64 seeds, I said a silent prayer that they would be productive. 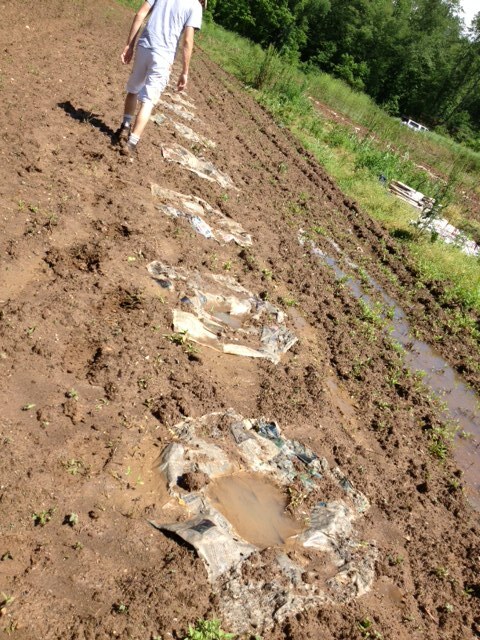 After covering the seeds, Richard and I stuck plastic pinwheels, children’s toys that twirl with the breeze, throughout each of the rows. 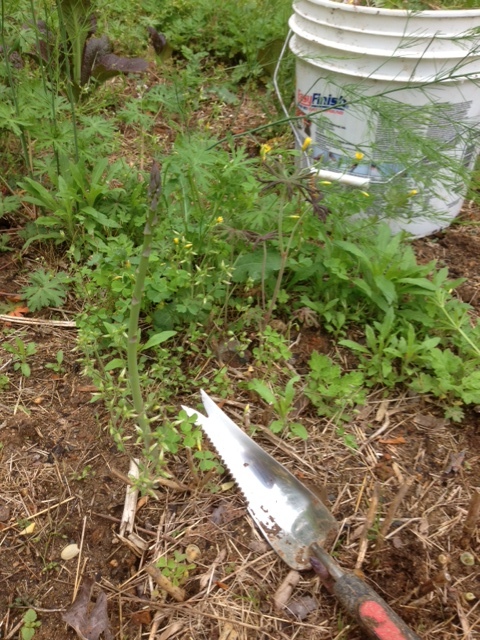 I hoped the whirling wheels would discourage crows from eating my seedlings. Richard places pinwheels among the Hopi corn rows. 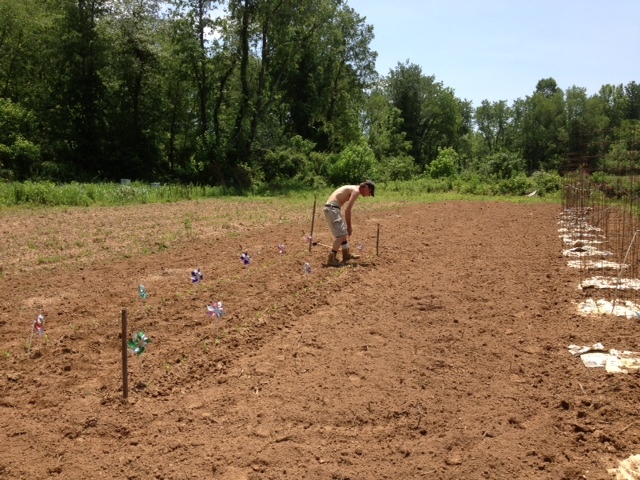 On May 23rd, I noted 63 small corn plants growing in the rows and there was no sign of crow attack, even though I often spied the hungry birds as they flew over the farm, loudly cawing. 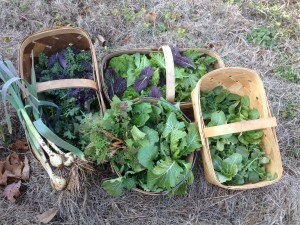 When the corn grew in height and no longer appealed to crows, I removed the pinwheels and saved them for another crop. 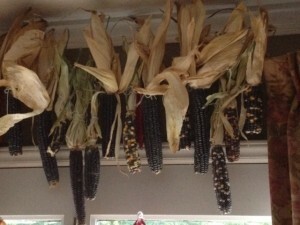 By mid-July, the Hopi corn was growing beautifully, even though most other crops suffered from too much rain. 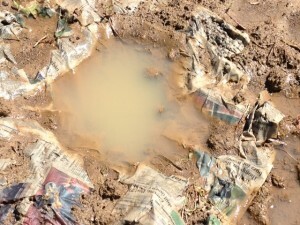 Our western North Carolina farm was drenched for weeks and thick mud threatened to pull me to the ground as I slowly made my way along rows of rotting plants, many of which suffered from blights. 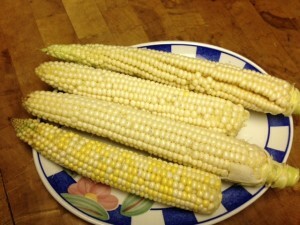 On July 29th, I pulled five ears of corn and I was surprised to see the shucked cobs were not blue at all; the kernels ranged in color from white to creamy yellow. Even though I use no chemicals in my gardens, the Hopi corn was free of earworms and other pests and the silks just fell away from the cobs. I briefly cooked four ears in boiling, lightly salted water and Richard and I, along with our son, Clark, declared those Hopi corn ears to be the best we had ever tasted. Clark, who is a classically-trained chef, cut the kernels from the last ear to add to a dish he created. Early in the day, Clark foraged wild chanterelle mushrooms and he tossed those, along with steamed clams from the NC coast, pasta and fresh arugula from the farm, in a large skillet and added the Hopi corn kernels at the last moment. Richard and I agreed it was one of the best meals we ever had. In order to preserve some of that fresh taste, I pulled another five ears the following day and blanched and cut off the kernels and then stored the yield in my freezer. 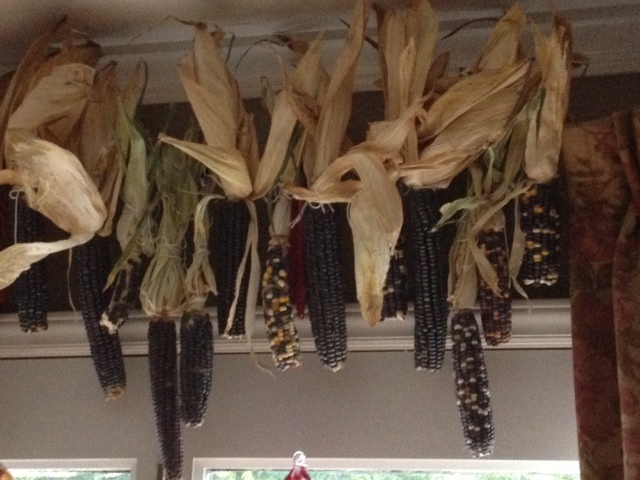 By the middle of August, the Hopi corn was mature. 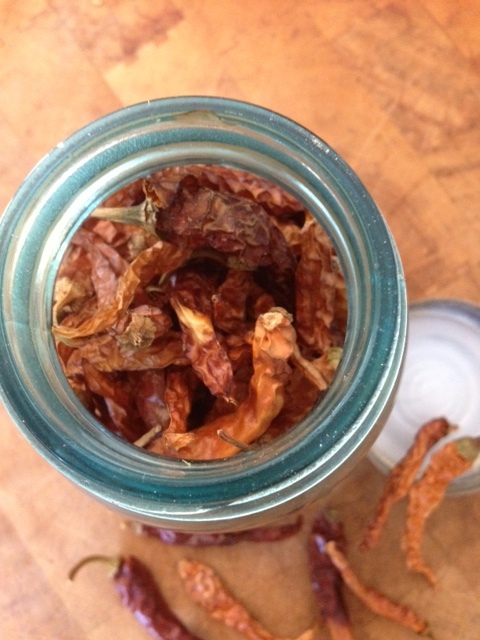 I pulled sixteen ears that did not develop, but they were perfect for pickling, so I packed them in a large Mason jar, along with some spicy hot heirloom peppers and a large clove of fresh farm garlic and filled the jar with pickling solution. 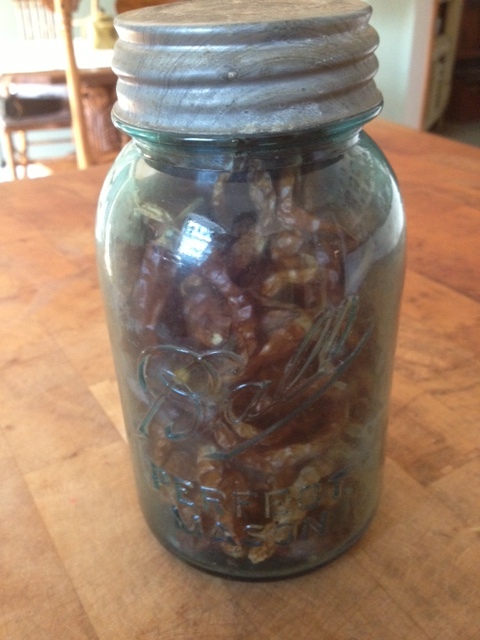 I stored the jar in the refrigerator and looked forward to enjoying those baby ears during the winter. Of the remaining, mature ears, I left some shucks intact and tied butcher’s twine around the base. In order to protect the corn from pests as it dried, I hung twenty-four ears from a curtain rod in an upstairs bedroom and I suspended the remaining twenty-nine ears from my dining room curtain rod. 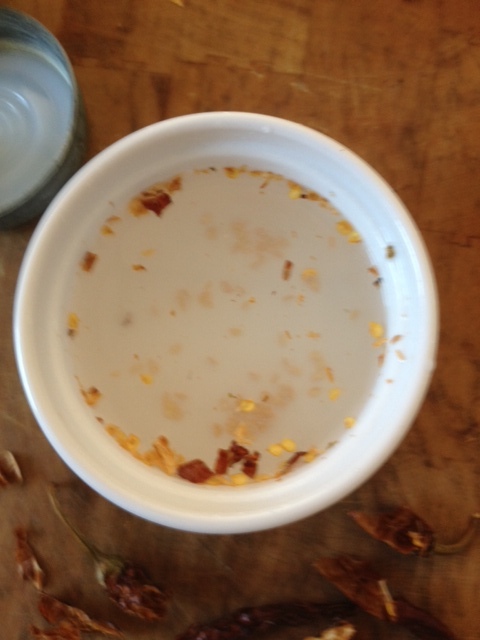 Of the eighty Hopi corn ears I harvested, I only discarded one that was too dry for fresh eating, too mature for pickling and not mature enough for drying, but a squirrel thoroughly enjoyed eating it from my compost bucket! After the corn dried for over two months, I purchased a small grinder and ground some of the kernels. 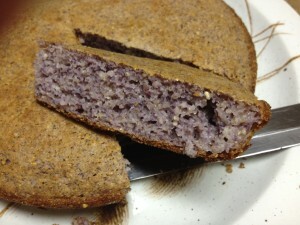 The cornbread I made from the meal was a lovely lavender color and the Hopi blueberry mini muffins were beautiful. And taste? Absolutely delicious. Sixty-four seeds yielded eighty ears of Hopi Blue corn, with only a single ear to discard. Although another heirloom corn crop, Pencil Dent corn, also produced abundantly, for beauty, flavor and versatility, Hopi Blue is my favorite. Mix all ingredients thoroughly and allow to rest while preparing blueberry mixture. Melt butter in glass container, add sugar and flour and stir to combine. Add frozen blueberries and stir quickly. Butter mixture will adhere to frozen berries. Spray mini-muffin pan with baking spray. Place a few coated berries in each muffin cup. Top with enough cornmeal mixture to fill each cup a little more than half full. Bake in a preheated oven at 375 degrees for about 15 minutes or until golden. Immediately remove muffins to a plate and serve warm. This entry was posted in Heirloom Seeds on December 2, 2013 by cindybarlowe. I know people who do not like cucumbers. Not many, but a few. Personally, I love cucumbers, especially when they are fresh and crunchy. 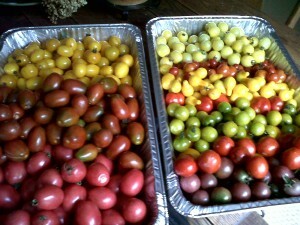 Add them, sliced or chopped, to a sandwich or wrap already loaded with fresh summer goodies, and I am a happy camper. 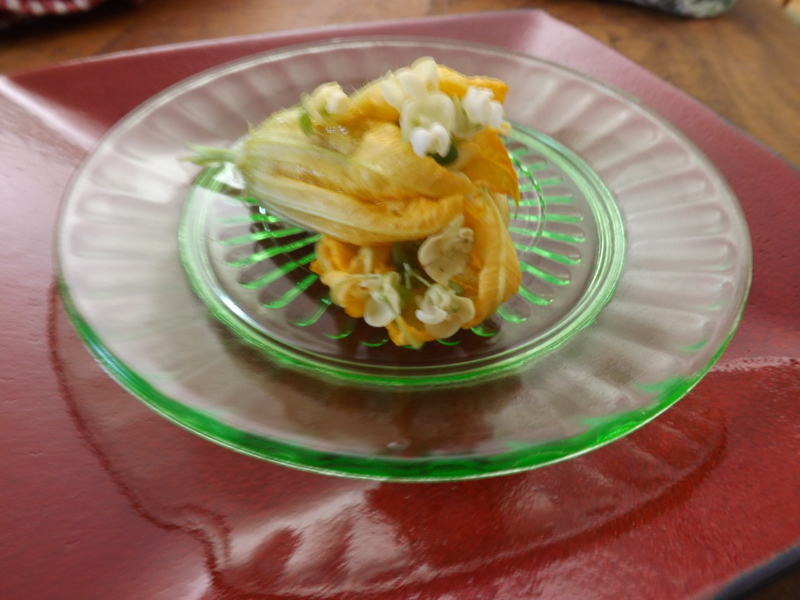 And then, there is a tasty treat that is a staple at my home: pickled cucumbers. My family absolutely loves anything pickled, but cucumbers are by far the favorite. Every summer, I pack my largest jars full of fresh cucumbers, herbs, hot peppers, spices and a healthy dose of our dried pepper flakes. After pouring a pickling solution over the ingredients, I store the jars in my basement refrigerator. When our children were young, they dubbed these “Kick Your Can Pickles” because they were so spicy. Often, I would bring a jar to the kitchen during the winter and they would disappear in one evening. 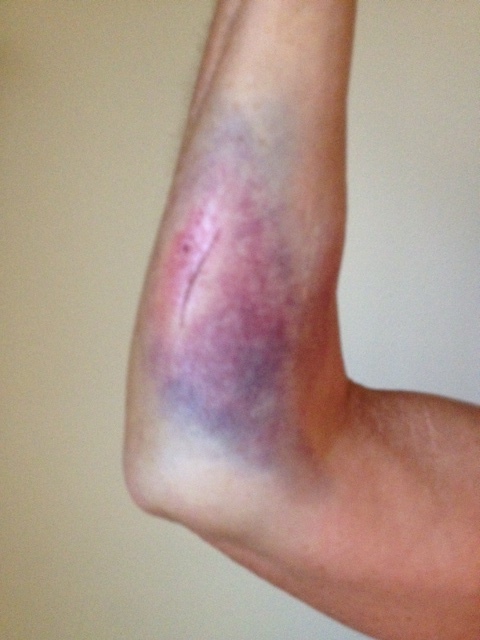 When I was a child, I remember a large crock that stood on Granny’s kitchen counter. Inside was a delicious pickle she made with her small white heirloom cucumbers which she called “Salt Water Pickles.” I loved these pickles best of all and, sadly, do not have her recipe. When she gave me her recycled notebook full of special recipes, many in her handwriting, it was not included. 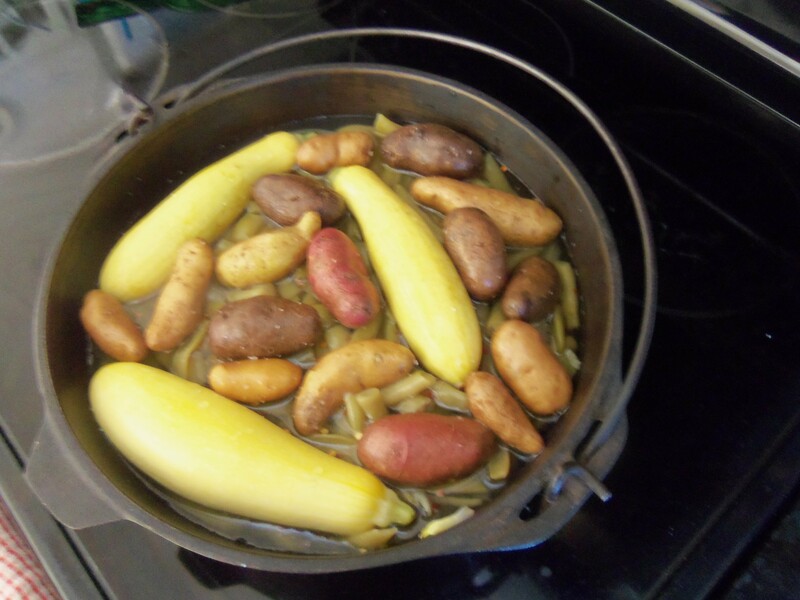 I am afraid the salt water pickles, her creamy “Soupy Potatoes” and her peppery cream gravy were dishes she just knew how to make, so the recipes were never recorded. Although I do not have Granny’s special pickle recipe, I do have seeds from her cucumbers. A small jar of cucumber seeds was included in the treasure trove of seeds my parents gave me. I first grew Granny’s cucumbers three years ago, but it was not a good year for cucumbers at our farm. 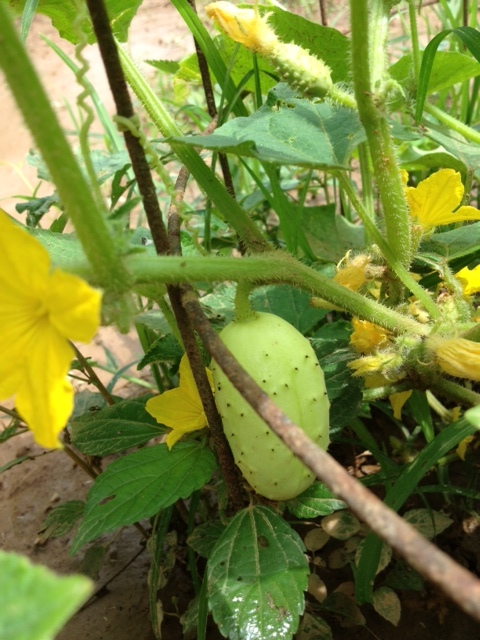 Excited to see Granny’s white cucumbers (and an equally delicious small green cucumber she grew) for the first time in over twenty-five years, we eagerly ate the first fruits. When production suddenly stopped and the vines died, I was saddened to think I missed an opportunity to save seeds for future planting. With only a few seeds left in the jar, last year I gave Granny’s cucumbers a special place in my garden, prayed over the tiny seeds and diligently cared for the vines. 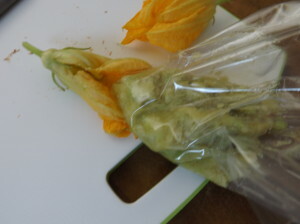 Fortunately, I saved seeds from several fruits, but I found that saving viable cucumber seeds is a difficult task. 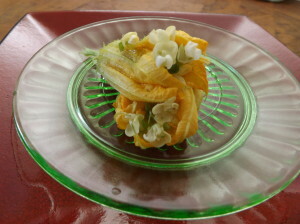 The fruit must be overly ripe, almost to the point of rotting, before seeds are harvested. I slice the cucumber in half, lengthwise, then scoop seeds and pulp with a large metal spoon into a glass jar, add water to cover and give it a good stir. 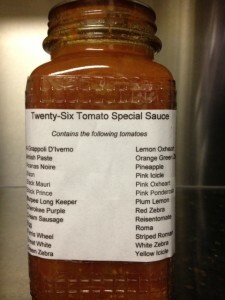 The mixture must stand, uncovered and not refrigerated, for about three days and should be stirred each day. 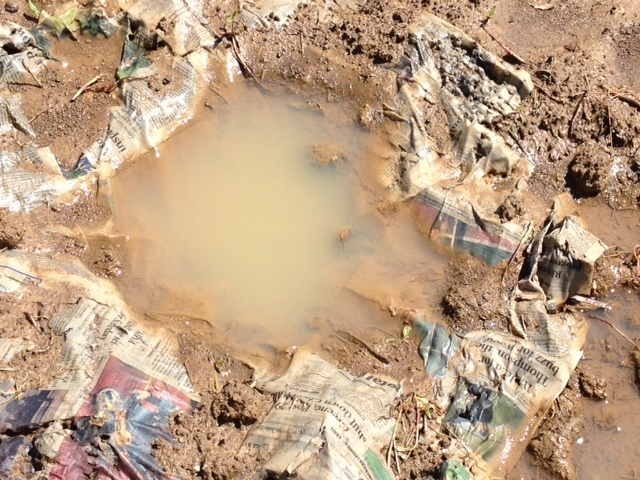 Seeds left too long in water will begin to germinate, so they must be removed before that happens. Next, I add fresh water and pour off the mixture that floats to the top. Viable seeds float to the bottom, so I try to get many of the floaters off before I place the remaining seeds in a large sieve. 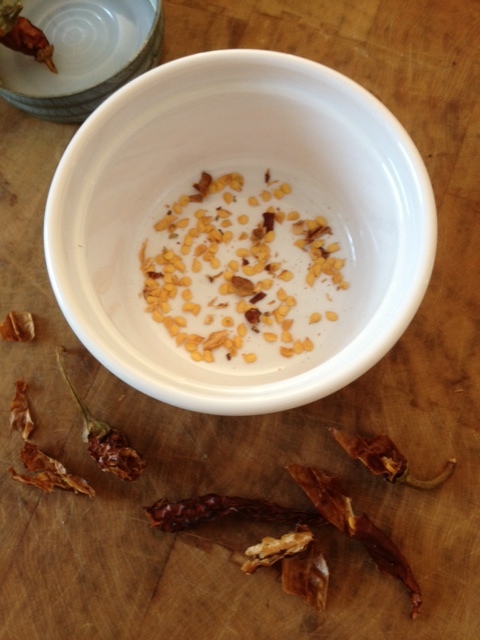 After a good washing, I spread the seeds onto parchment paper or newspaper and allow them to dry for several days. 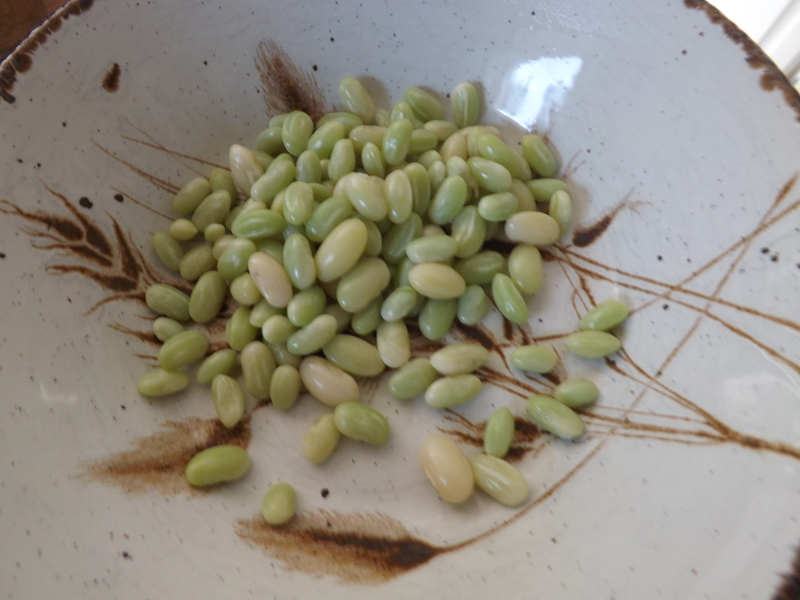 If seeds curl, they are not good. 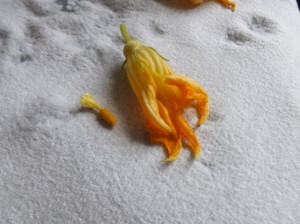 The first time I attempted to save Granny’s cucumber seeds, I left them in water too long and with my second try, there were few good seeds, so perhaps the fruit was not quite ready. 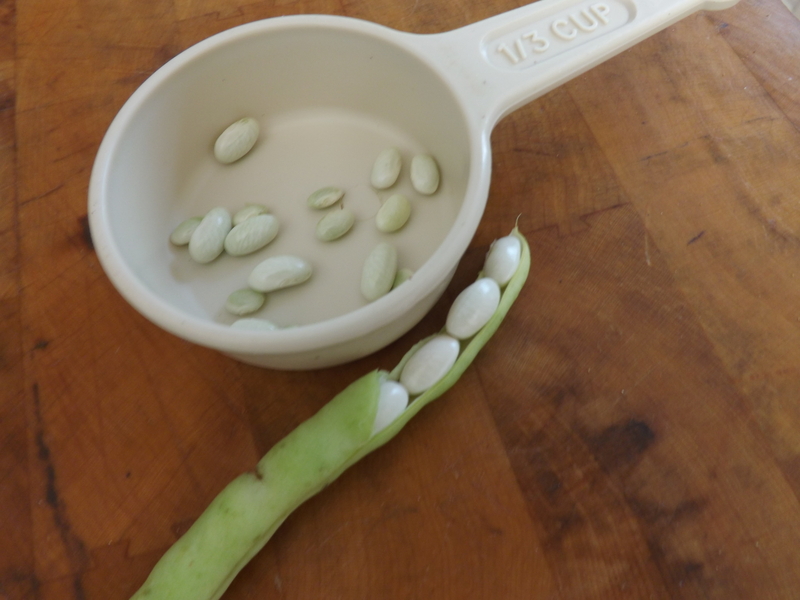 Finally, I was able to store two small containers, one with white cucumber seeds and the other with green, in my freezer, but it was with trepidation I planted the seeds a few weeks ago. I just can’t let Granny’s cucumbers die in my hands; I am hopeful I can pass these special seeds to my children and they, in turn, to their children. 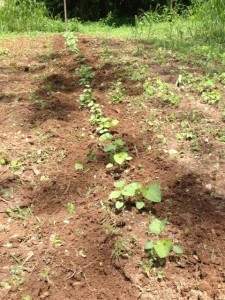 On May 15th, I planted Granny’s cucumbers, one hill with white seeds and another with green. 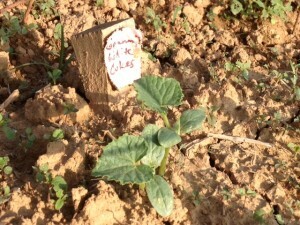 On the 27th, I joyfully recorded in my garden notebook: Granny’s White Cukes Up! 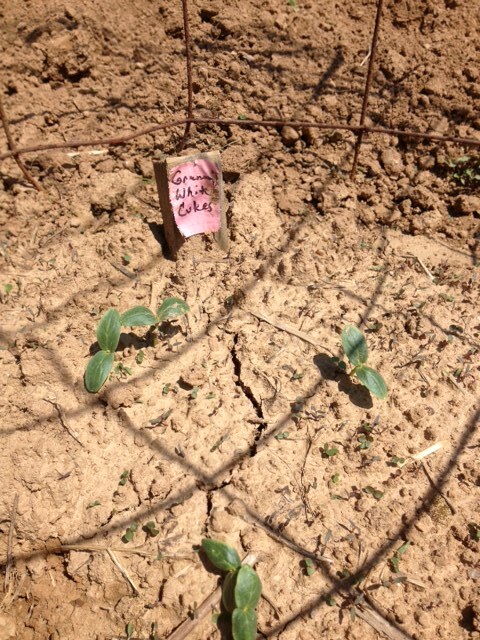 and I replanted green cucumber seeds that day. 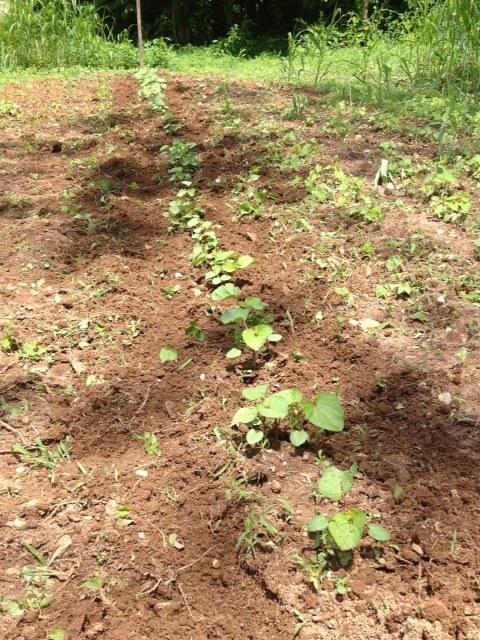 Rain has kept me from the farm for a couple of days, but I am hopeful we will enjoy Granny’s cucumbers this summer and I will successfully save seeds for next year. 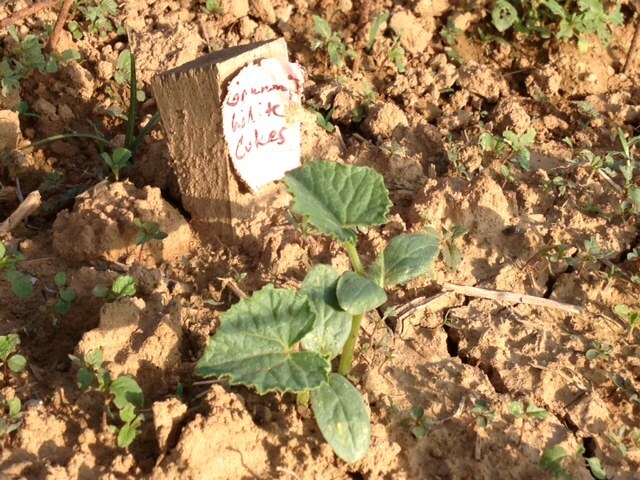 Planted on May 15, 2013, these four cukes popped up on May 27th. 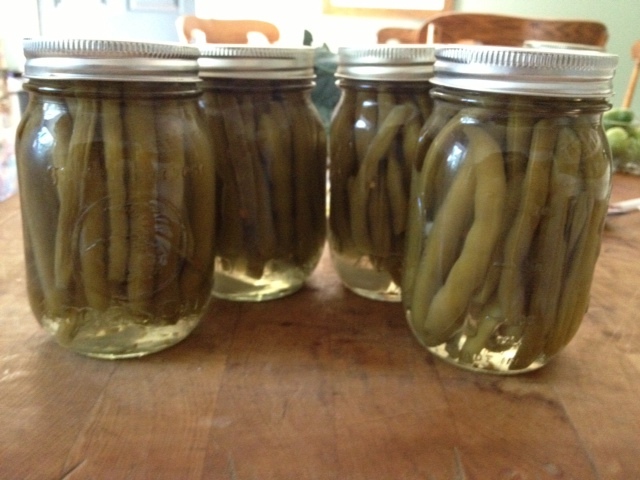 If you have an abundant crop of fresh cucumbers and would like to make refrigerator pickles, try this recipe. 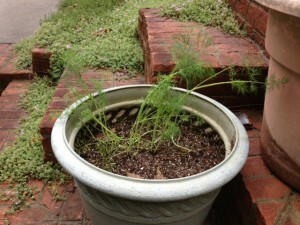 I am excited that, for the first year, I also have a pot of Granny’s dill growing at my home. 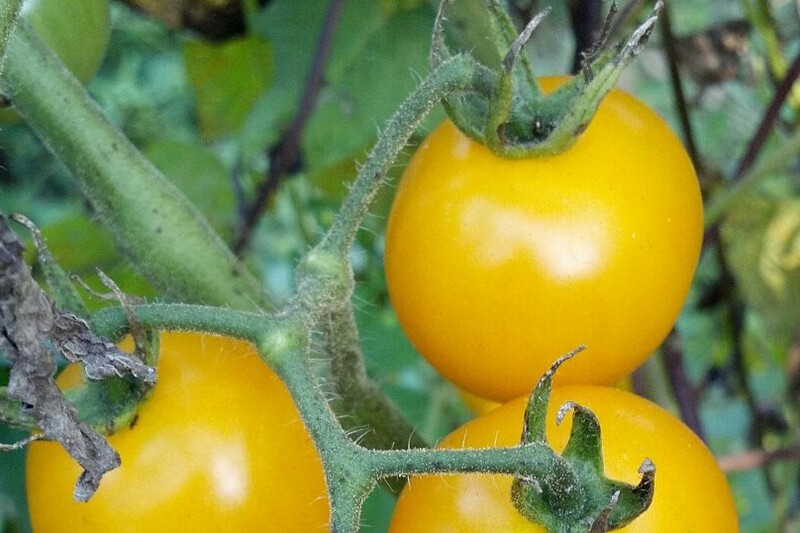 These heirloom seeds are incredible! Granny’s Dill, growing from seed she saved in the 1980s. In a large glass jar, preferably one with a wide mouth, place a few sprigs of fresh dill, a couple of garlic cloves and about 1 teaspoon of whole black peppercorns. 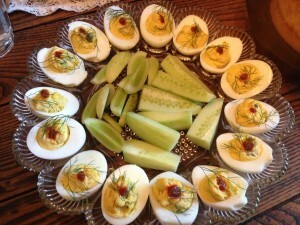 Add a fresh jalapeno, sliced in half lengthwise, and about ½ teaspoon dried pepper flakes. 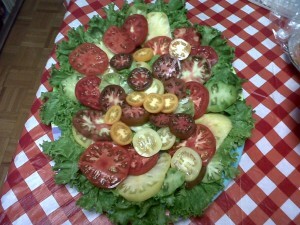 Pack the jar tightly with cucumbers, whole or sliced. Pour the following brine over the cucumbers and wipe the mouth of the jar before tightly securing the lid. 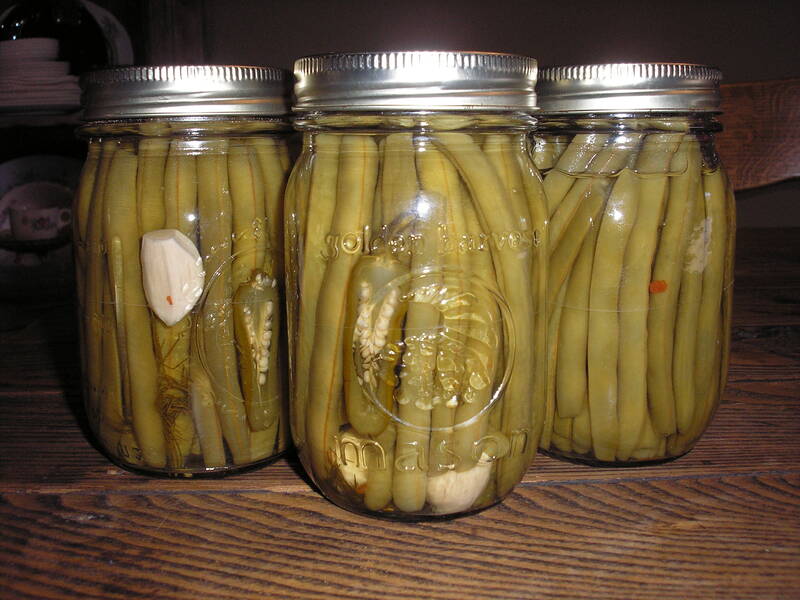 Store pickles in the refrigerator. After a few days, taste to check for “pickling” and enjoy whenever you are in the mood for a spicy pickle. In a large saucepan, heat vinegar, salt and water over medium heat, stirring mixture occasionally, until salt is dissolved. Allow to cool before adding to pickles. This entry was posted in Heirloom Seeds on June 7, 2013 by cindybarlowe. After yesterday’s drenching NC rain, a weak Spring sun was out today and I knew I had to face one of gardening’s most dreaded tasks . . .WEEDING! When my son, an executive chef, says he is “in the weeds,” he means the kitchen staff is overwhelmed with orders and his staff has to scramble to achieve the optimum balance required to please restaurant guests. When I am “in the weeds,” that term constitutes an entirely different meaning. 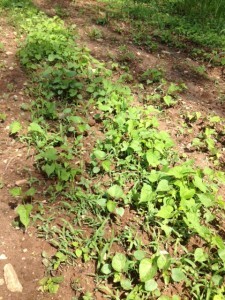 Why is it that weeds triple in size in a matter of hours when it takes plants we try to grow much longer? 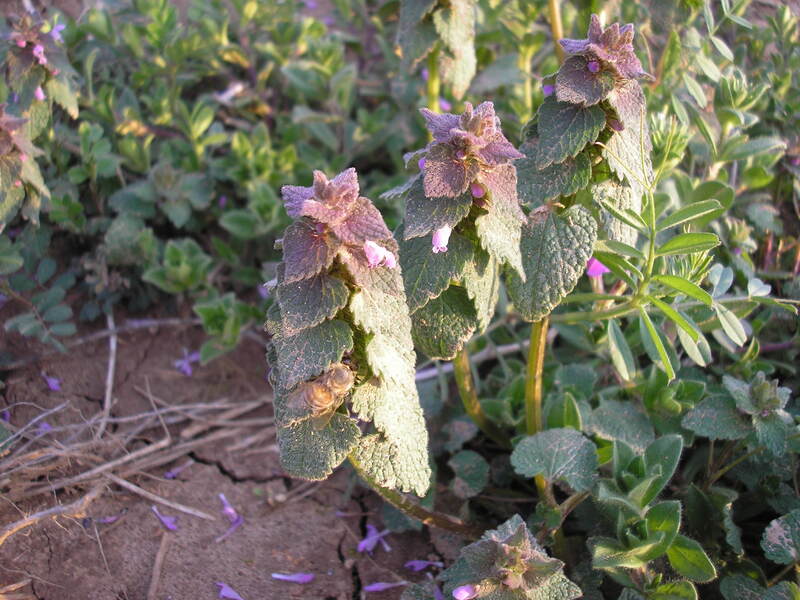 Also, have you noticed that many weeds mimic the look of plants growing nearby? 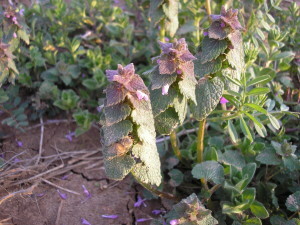 In my herb bed, I discovered a “new” weed this year, lurking in my thyme plants. With its trailing tendrils and tiny leaves, I had to look closely (and even smell it!) to be sure it wasn’t thyme. 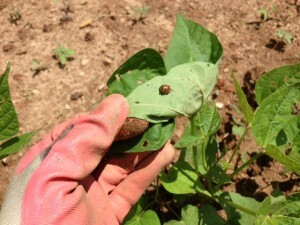 Last year, I planted black garbanzo beans, a new crop for me, and learned a painful lesson when they began to grow. Unfamiliar with the foliage of young garbanzo bean plants, I mistakenly pulled many of them, thinking they were vetch, a weed that was growing alongside. By the time I realized my mistake, the damage was done. 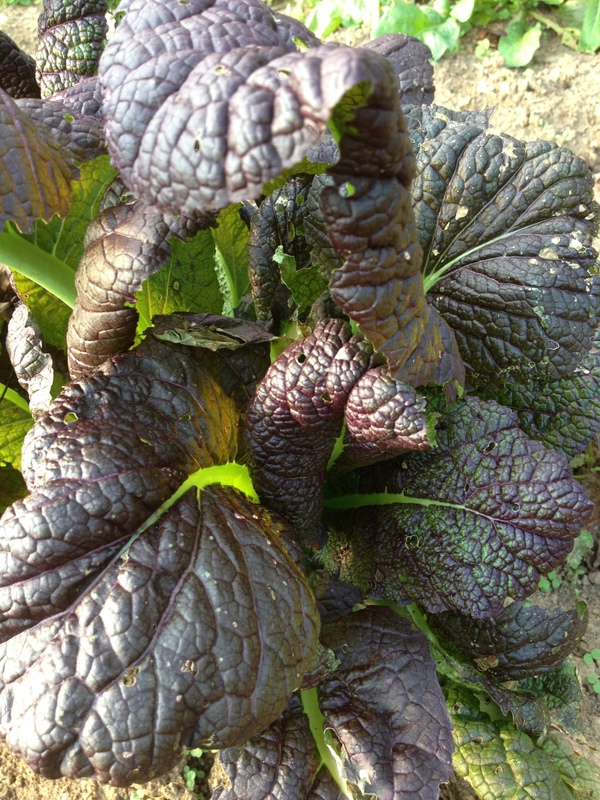 There are also weeds that look like marigolds, eggplants and mums. 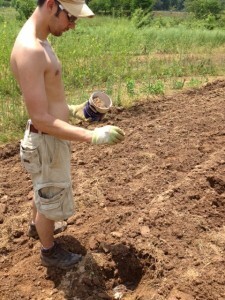 I am grateful to my grandmother, Lora Minton, who gave me invaluable training in weed identification. Recently, I saw a woman using a chemical spray to kill weeds in her flower bed, where her young granddaughter was playing. I know herbicides make weeding easier, but I was saddened to realize the missed educational opportunity those two could have shared. Most gardeners can easily name their nemesis, that most hated and hardest to control weed. 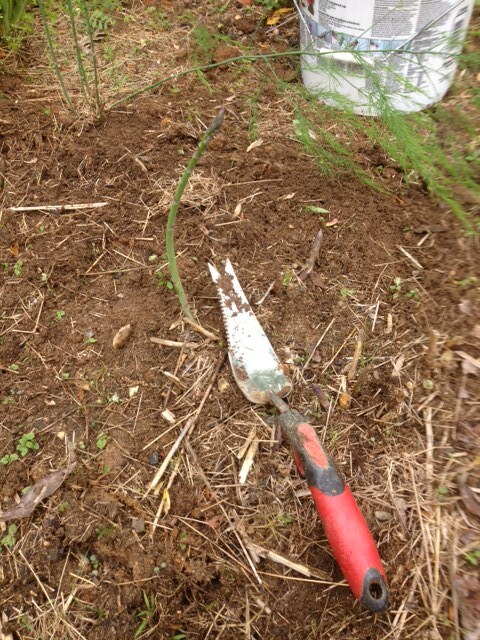 I once read that if you were unsure whether a plant is a weed or not, try pulling it. 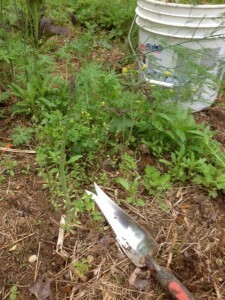 If it comes out easily, it is something you wanted to grow; if it is resistant, it’s a weed. I love a morning glory for their beautiful blooms, but there is a kind of morning glory that grows at the farm that is very different from those pretty garden types. I think the name of this particular plant is “Grab Ankle and Throw Person to the Ground” Morning Glory, but I could be mistaken. Seriously, these weeds have sticky tendrils that are deceptively strong and the vines could probably be used in tractor pulls! 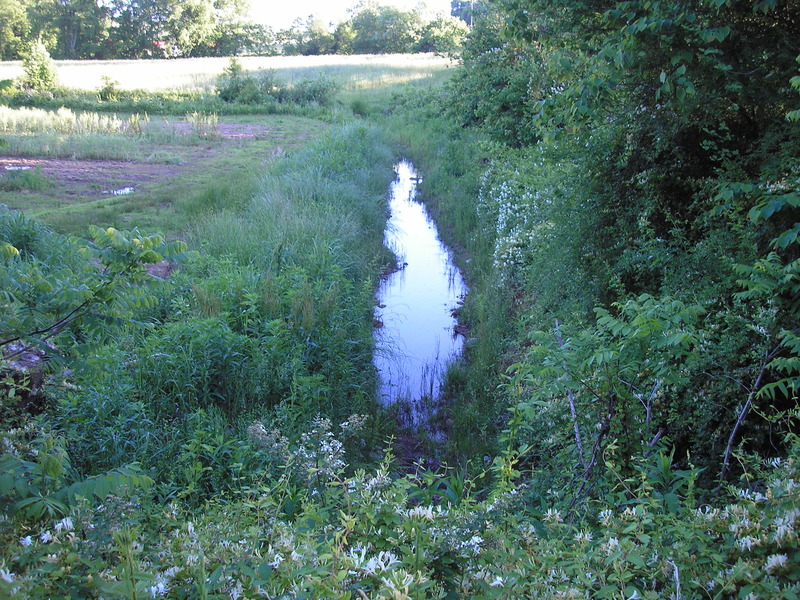 In addition to a tap root that can reach about 5 inches in length, these weeds grow at an incredible rate and spread in diameter. 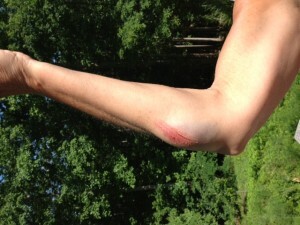 Last summer, I witnessed an incident that made me realize weeds torment animals, as well as humans. I was cutting okra and noticed something small and brown jump from the weeds at my foot. I first thought it was a toad because we have lots of those at the farm, but it was a baby rabbit. He scooted off into another bunch of weeds (sigh) to hide and as I stepped by his previous hiding place, I heard something scurry out behind me. Actually, it sounded pretty loud, so I expected a large animal when I turned to look. It was the mother rabbit and she was running for cover when one of those killer morning glories became wrapped around the rabbit’s neck. There was a moment of eye-rolling, flailing in all directions and a mad pirouette before the animal broke free and dove for cover. I had to laugh aloud! 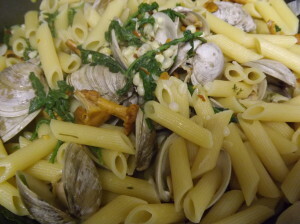 Cook pasta, according to directions, drain and set aside. Heat oil in a Dutch oven, add onion and saute until translucent. Add pasta and stir to combine with onion. 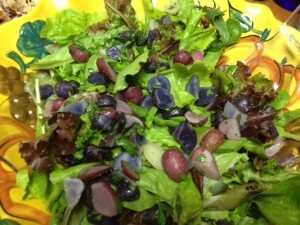 Add greens and cook with pasta until wilted. 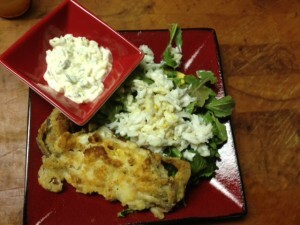 Season with salt/pepper and top servings with cheese. This entry was posted in Heirloom Seeds on April 30, 2013 by cindybarlowe. Sometimes, It is About Knowing the Questions to Ask . . . Does this jar hold the seeds for this year’s pepper crop at Heart & Sole Gardens? In the past few days, I faced the fact that the old seeds I rediscovered in my garage are probably not going to germinate. Extreme temperatures and improper storage have robbed them of life and they do not appear to be viable. I mourn their loss, but at the same time, I rejoice in the living seeds I have, treasured heirloom seeds that once thrived in my grandmothers’ gardens and now grow in mine. 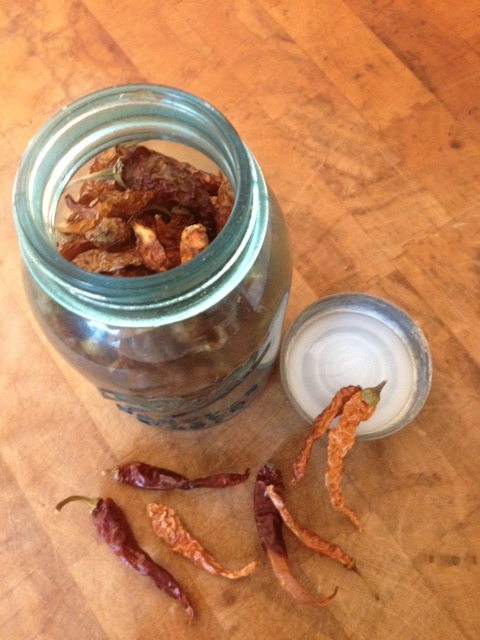 After so many years stored in this beautiful jar, I had to taste the pepper seeds. I drove to my parents’ home and my mother handed me the jar. I immediately opened the lid and removed a pepper, grown by Granny, and admired the beautiful color it still held. Breaking the pod open, I placed a seed on my tongue and offered some to my parents. My mother was brave enough to try, but my father, who is not a fan of spicy foods, declined. The seed left a spicy taste, delightfully “hot,” but not painfully so, although I did accept my mother’s offer of a glass of cold water! Even after more than thirty years, the peppers still hold color. 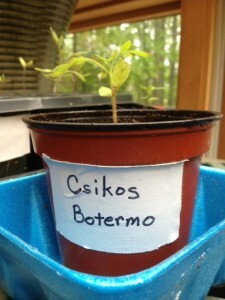 Back at home, I placed some of the pepper seeds in a small bowl of lukewarm water in order to give them a “boost” for germination. 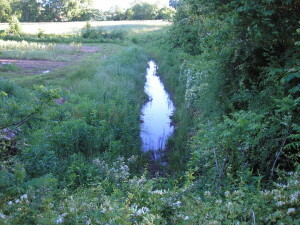 Many seeds immediately sink in water. Many of them immediately sank to the bottom of the bowl, which I took as a good sign. Seeds that sink in water usually are viable and I pray this is the case. After an overnight soaking, I planted the seeds in a tray of potting mix, added water and prayers, and placed them under a grow light. 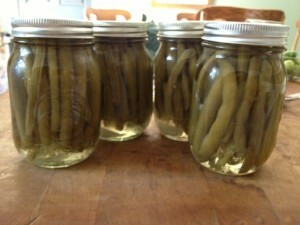 Will my Granny’s peppers be included in my heirloom crops at Heart & Sold Gardens this summer? Is it possible for seeds, stored in the dried shells that held them when they were born, to germinate after more than thirty years? I’ll let you know . . . 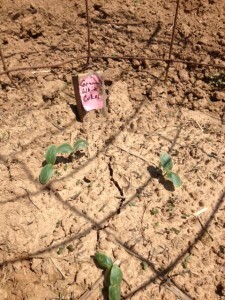 This entry was posted in Heirloom Seeds on April 12, 2013 by cindybarlowe.